A bill signed Monday by Arizona Gov. 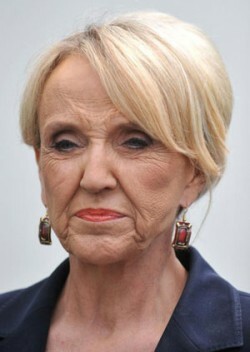 Jan Brewer will direct the state and other adoption agencies to give married couples a preference over single adults when placing children in adoptive homes. The new law doesn’t necessarily say homosexuals can’t adopt kids — but it states that Arizona would prefer that married couples be given higher consideration for adoptions than non-married people, if all other factors are equal. In other words, since homosexuals aren’t allowed to tie the knot in Arizona — yet — they would lose out to heterosexual married couples every time. “Experienced child health and social service authorities, not politicians, should make adoption decisions,” said Tom Mann, Board Chairman for Equality Arizona. “Arizona desperately needed Governor Brewer to demonstrate real leadership today. Instead, we were given another bad law enacted out of political allegiance rather than what’s best for Arizona and Arizona’s children,” he said.